A true pioneer in his efforts to bring strength and fitness to the public’s collective consciousness, Joe Weider continues to use his expertise to help people the world over lead healthier, happier lives. Since 1936, Joe’s message has prompted athletes, coaches and sports scientists the world over to alter forever their approach to training, nutrition and recuperation in accordance with the guidelines established in his training principles. For years, Joe oversaw a publishing empire that included the “bible” of bodybuilding, Muscle & Fitness, Muscle & Fitness Hers, Flex for the hard-core bodybuilder, Men’s Fitness for the active man, Shape for the active woman, and Fit Pregnancy and Natural Health. 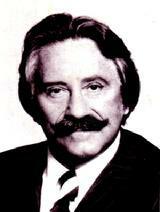 Born in 1920, Joe Weider grew up in a tough neighborhood in Montreal, Canada during the hard times of the Great Depression. When young Joe left public school at age 12 to pull a small wagon 10 hours a day delivering fruit and groceries for a market, it was an act of survival for both him and his family. Joe’s competitive success and his ongoing physical transformation inspired him to enlighten others. That would be a challenge, because the late 1930’s were indeed a dark age for the iron sport, with gyms deliberately hidden from mainstream society. Weightlifters communicated primarily through correspondence and magazines, which young Joe felt published incomplete and often erroneous information. By 1939, Joe had been working full time for five years. He had traded in his wagon to bus tables and wash dishes at a local restaurant, which had quickly promoted him to sandwich maker and then to short-order cook. His dream, however, was to publish a magazine committed to sharing accurate, complete training advise with routines with its readers. So, with $7 in his pocket, he began to work on what would become the first issue of Your Physique, to be published in August 1940. Orders poured in, and within 18 months Joe had made a $10,000 profit—a small fortune at a time when a loaf of bread cost 4 cents and a gallon of gas 11 cents. Remembering his own difficulties in tracking down equipment, Joe started the mail-order Weider Barbell Co. in 1942; his magazine now offered weight sets and other equipment as well as some rudimentary vitamin and mineral supplements. Perhaps Joe’s most indelible addition to the science and sport of bodybuilding is the Weider Principles. For his magazine, Joe would spend countless hours in various gyms studying and cataloging the movements and techniques that were effective for bodybuilders, weightlifters and power-lifters alike. By 1950, he had compiled 12 years’ worth of such observations, and he christened them The Weider Training Principles— over 30 theories and techniques that forever changed the means by which someone could build a strong, muscular body. From those beginnings, the IFBB and the business grew tremendously. Now located in Woodland Hills, California, Weider Health and Fitness is a leader in the sports nutrition industry.